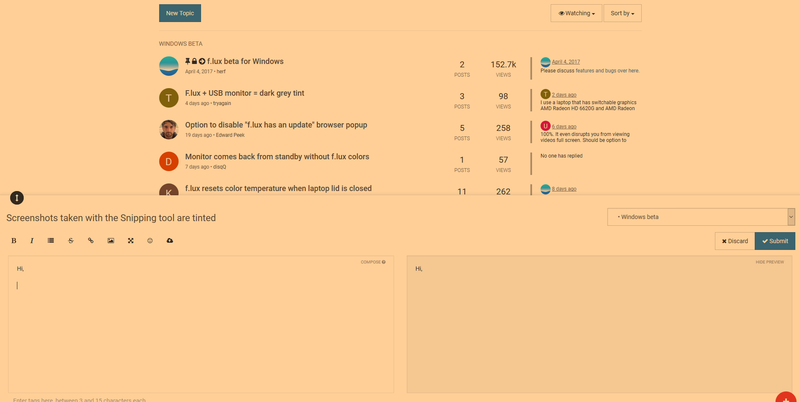 I switched to the new beta version because with my new setup (USB monitors) I had screen flicker issues and F.lux didn't work on the USB monitors. I will search for updates to the Display Link driver, but maybe there will be a fix. We did work around it when the driver is not available by tinting the screen, but I wish we didn't have to. Thank you Herf :D I just needed to aff the EnableGammaRamp key since I had everything already on a higher version. @herf I'm not seeing a driver to fix this in the thread link. 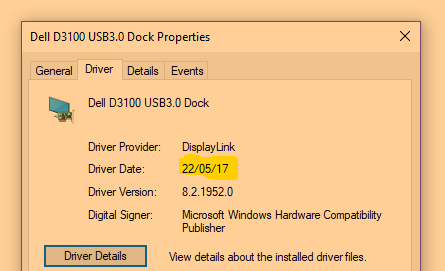 Any of the current displaylink drivers should work (as long as you are on Windows 10 anniversary or later). I don't know if the registry changes are necessary, but there are instructions at the link. Has anyone figured out this issue? Mine just started being tinted in the last two months, way after the anniversary edition of windows update. I also use the snipping tool listed in the suggested link above. I also updated my monitor and port drivers. @herf I'm not seeing the drivers in the link. There's only a link to another document that is about installing and uninstalling f.lux. I have updated my drivers and do have the anniversary version of windows which was installed sometime last year. This issue just started occurring within the last few months.